Study after study confirms that career development is the single most powerful tool managers have for driving retention, engagement, productivity, and results. But most managers feel like they just don't have time for more meetings. 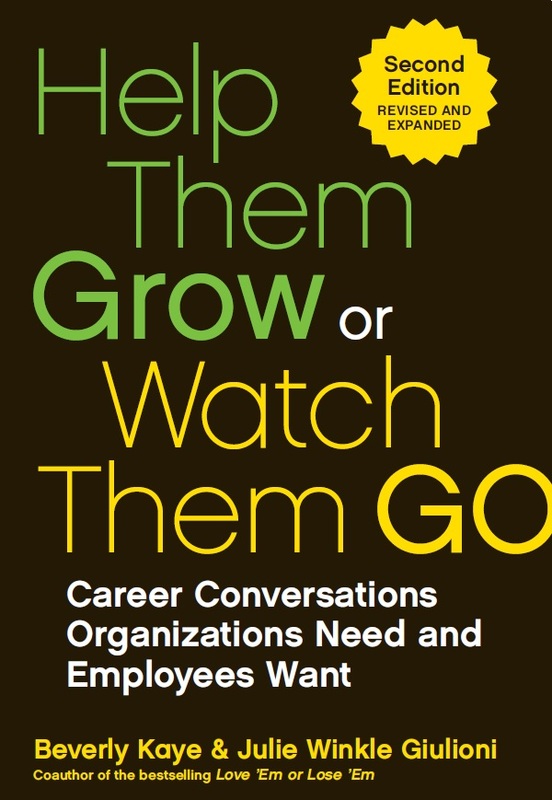 This book offers a better way: frequent, short conversations with employees about their career goals that can be integrated seamlessly into the normal course of business. "At last, a hands-on book that's smart, practical, and honest. Everyone knows that people make all the difference; this book will teach you how to make a difference with your people." "Profound, clear, accessible and actionable. Help Them Grow shows why we can’t talk about employee engagement without addressing career development. And it spells out how leaders can have that conversation." "Bev and Julie have presented a straightforward and unique solution to talent development: Put the workforce in charge of their own growth. This book will help you create the kind of culture for career advancement that builds businesses." "This is an amazing book. In all my years coaching executives on career development, this is the best and most comprehensive resource available. It's an easy read that takes the complex issue of career development and simplifies it with real, action-oriented tips, tools and insights. It's perfectly relevant for new supervisors, senior executives and HR professionals at any level, in any industry."